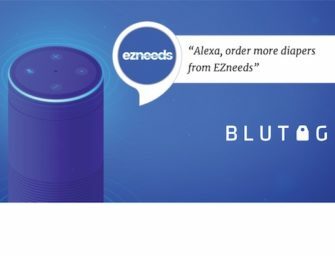 Amazon’s global smart speaker sales share rose in Q4 2018 to 35.6% compared to 31.9% in Q3 2018 Google’s smart..
Samsung Galaxy Watches come with Bixby, but Swiss developer Damian Mehers through his company Atadore is demonstrating Amazon Alexa operating on them..
Facebook’s Chief AI Scientist Says the Service Would Like to Offer Smart Digital Assistants. Here’s Why. Intel made news at CES when it revealed that it was working with Facebook on an AI chip. Yann LeCun,..
Much of the focus around the new Juniper forecast last week centered on the projection of eight billion voice assistants.. Announced last week, Orbita and Mayo Clinic are teaming up to publish a Google Assistant action as well as a..
Amazon announced the Echo Wall Clock at its September 2018 event and it initially went on sale in mid-December. However,..
Amy Stapleton is CEO and founder of Tellables which works with authors to develop interactive story games designed to be..
Apple has hired former smart lock company CEO Sam Jadallah to lead smart home initiatives Only 267 products are listed..
Apple acquired PullString for about $30 Million according to Axios, less than one-fifth of the company’s April 2016 valuation Voicebot’s.. In last week’s column, I wrote about how we’re in the midst of a Cambrian Explosion of audio content..